Senior Vice President and Global Brand General Manager, Barbie | Mattel, Inc.
Lisa McKnight serves as Senior Vice President and Global General Manager for Mattel’s Barbie brand, a role she has held since 2016. In this role, McKnight leads a global team that’s focused on brand strategy, product development and marketing execution for the iconic Barbie brand. McKnight has been instrumental in evolving the brand to make it more relevant and compelling to girls and parents around the world, leading to consistently improved retail sales and deeper consumer engagement. Lisa has spoken at many conferences, including the Cannes International Advertising Festival, Fast Company Innovation Festival, WFA Global Marketer Conference, Most Contagious Summit, Brand Innovators and Bentonville Film Festival. She is also the 2016 recipient of AdWeek’s Brand Genius Award, and serves on the Boards of MAKERS Women and the Toy Industry Association Foundation. Prior to her current role, McKnight served as Senior Vice President and Global Brand General Manager for Mattel’s Monster High and Ever After High brands where she developed and led highly successful marketing, advertising and brand promotional activities. Under her leadership, the Monster High brand forged a breakthrough partnership with Lady Gaga’s Born This Way Foundation, which paved the way for numerous cross-promotional opportunities while delivering positive messages to girls everywhere. 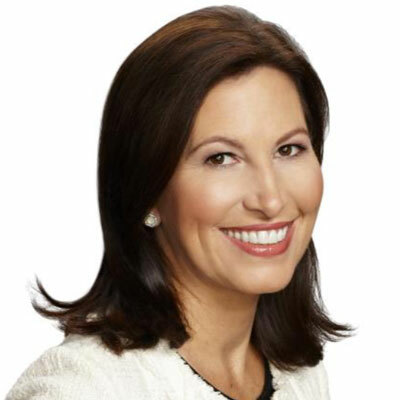 Previously, as Senior Vice President of Mattel’s North America Division, McKnight managed the business and marketing strategies for the entire Mattel brand portfolio, including Barbie, Hot Wheels, Fisher-Price and Thomas & Friends, in the United States. McKnight held responsibility for pricing and retail channel strategies, media planning and buying, public relations, promotions and advertising for the market. Since joining Mattel in 1998, McKnight has several senior leadership roles with the company, including Vice President, Global Marketing, Barbie. In this role, she lead a highly successful brand re-launch tied to Barbie’s 50th anniversary. As a result of her efforts to improve the brand’s global positioning and cultural relevance, Barbie enjoyed four-consecutive years of sales growth. Earlier in her career, McKnight gained significant marketing and brand management experience with a number of leading global consumer brands. She held numerous positions with award-winning agencies, including Grey Worldwide, Foote, Cone & Belding, Gardner Geary Cole & Young, where she represtented clients like Bank of America, Fairmont Hotels and Taco Bell. In addition, McKnight helped lead marketing strategy for Gap Inc., where she oversaw numerous campaigns, including the Easy Fit Jeans campaign with the now-iconic LL Cool J spot, along with the highly-successful Khaki Swing campaign. Lisa is a native Californian and resides in Los Angeles with her husband Bill and their two daughters.